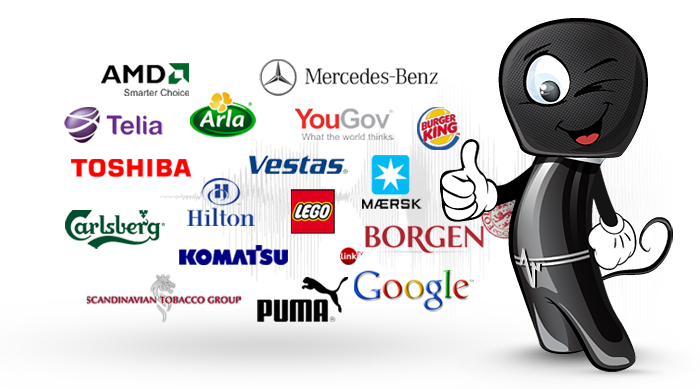 We have made it easy for you to choose the perfect voice for your project! We offer professional voices for all kinds of recording, where quality is a "must”. With a huge network of voice actors and with many years of experience in voice casting for projects, we are ready to help you with all kinds of voice over tasks. 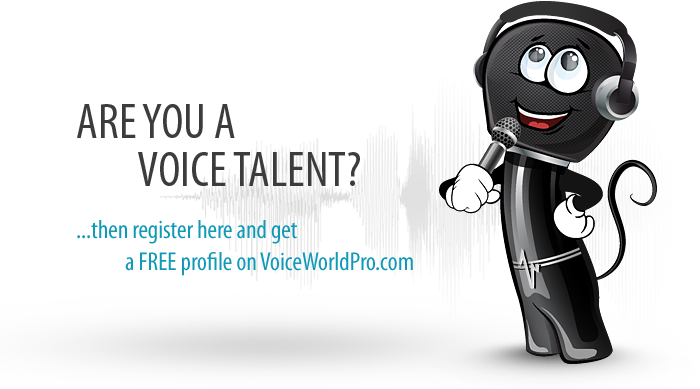 Voice World Pro can deliver a raw voice recording, or we can help you insert the audio into a film, a TV or cinema commercial, or maybe even put it on your answering machine… so it meets your needs. Listen to the voice overs in our voice bank. Add the voices you like best to your ‘Favourites’. for using your chosen voice for your project. Remember! No job is too small and (virtuallynearly) no job is too big. 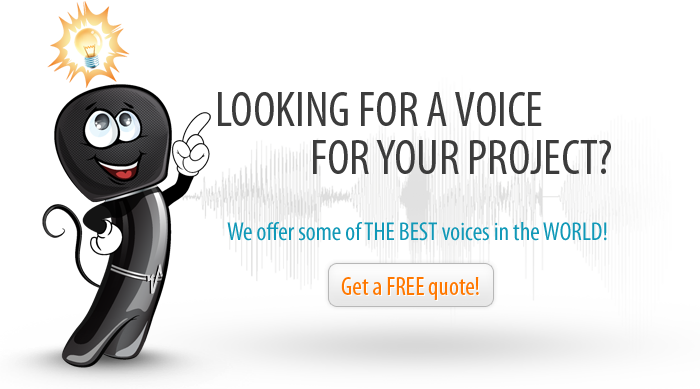 We can help you find the perfect voice for recording virtually any project! Why not listen to our experienced voice talents, who can deliver voiceovers for TV or radio Commercials, Cinema Commercials, Corporate Video, Movie trailers, Phone IVR systems, Documentaries, E-Learning, Dubbing, Audiobooks, Video and computer games, TV Shows and movies, Live announcers on camera etc., Showreel, Online promotions / commercials, Podcasts. © 2012 VoiceWorldPro.com | All rights reserved.